Our guide to Scottish holidays and tours together with information on all parts of Scotland. Lots of Scottish tours to read about and hundreds of Scottish pictures to enjoy. We also provide answers to lots of travel questions that tourists often ask about Scotland. Fairly detailed pages about the various activity holidays you can have in Scotland. Includes trekking and riding, sailing, walking, fishing, cycling, skiing and golf. Its romantic scenes and historical associations in lay and legend, song and story by Francis Watt M.A. and the Rev. Andrew Carter M.A. A series of delightful short essays and descriptive poems, each recapturing and crystallising some moment of supreme happiness during holidays among the hills of Scotland. An excellent tourist guide to Atholl, in Highland Perthshire, and its history by James Irvine Robertson. This is a 6 volume publication which details all the villages and towns in Scotland together with some of there history and maps of the districts of Scotland. This gives you detailed lists of historic places you can visit in Scotland complete with small descriptions, links to road maps and links to places on the web where you can get further information. This is our Travel introduction to the various regions of Scotland. You'll find a great overview of each area, pictures and lots of links to further information. A Guide to 250 places to visit from Stirling to St. Andrews. Our aim... helping visitors and tourists feel like locals... giving locals the chance to be tourists. Here you will find a major account of Charlotte's return to Scotland and the many stories of her and her family and friends exploring the country. Here you'll find a great selection of places to visit in the Perth & Kinross area of Scotland. The gateway to the Highlands. Here we provide a list of local Scottish communities that have their own web sites. So if you're having a holiday in Scotland check out your local area here. Our own picture gallery providing lots of pictures of Scotland. This is a link to their comprehensive and informative web site. A general guide on getting married in Scotland. Here we provide a variety of ways of finding maps of Scotland and the world. We are building a collection of suggested tours of Scotland covering half day tours to 21 days tours and everything in between. In 4 volumes by John MacCulloch, M.D. This is where we profile various Highland Games and Pipe Bands around the world. Here we try to answer some of those frequently asked questions. If you are looking to include England, Wales and N. Ireland into your visit to Scotland then check our the British Tourist Board web site. This page provides a list of Scottish Societies around the world. A page giving general mileage and journey times between various major cities in Scotland and the UK. 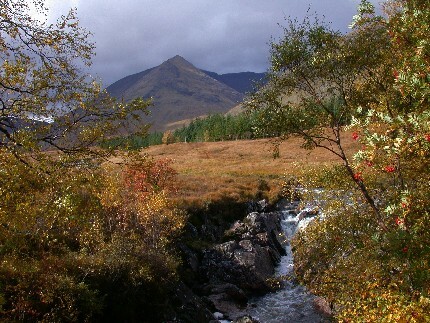 By Arthur L. Bagley (1914) (pdf) Includes a good description of Ben Cruachan in the lands of the MacIntyre's. Started at 11:51am on 28th August 1999. Coldstream, Birgham, Kelso, Heiton, Crailing, Jedburgh, Chester, Bonchester Bridge, Hawick, Selkirk, St Boswells, Melrose, Galashiels, Clovenfords, Walkerburn, Innerleithen, Newtongrange, Milerhill, Old Craighall, Musselburgh, Edinburgh.